A signed, limited edition print, (100 in total) taken from an original artwork in acrylic. Showing a parkland in York. An old ruin stands among the trees and plants. 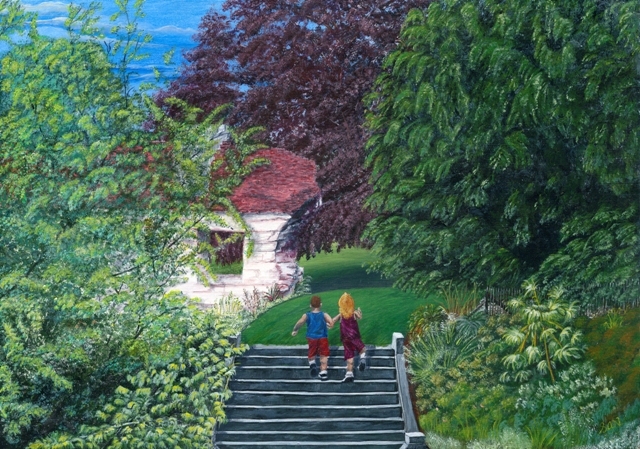 Two children run eagerly up the old steps, excited to explore the ruins, and play on the grass in the shade of the trees.